We've heard that Samsung may start us on the hole-in-display (Infinity-O) journey earlier than the Galaxy S10 release date, and with the midranger A-series at that. 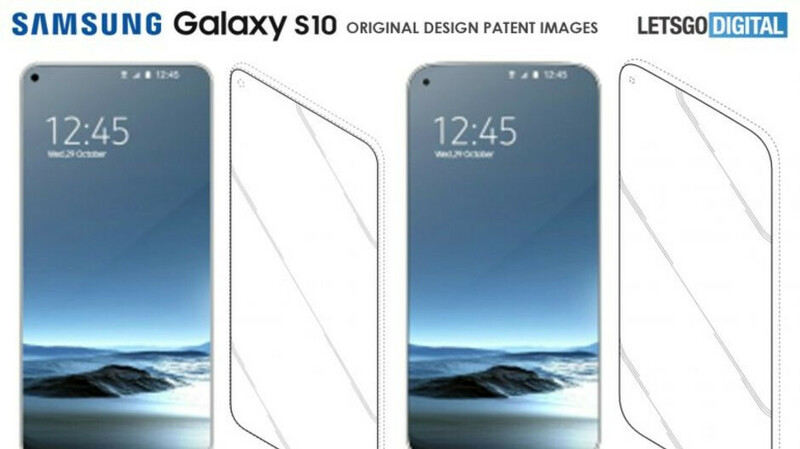 Lo and behold, a claimed Infinity-O display panel leak shows something that is very similar to Samsung's patents that we showed you on Friday, supposedly of Galaxy S10 design versions. With the display driver connector at the bottom, flipping this puppy around will leave the selfie camera hole on the top left, just as with most of the design patents that Samsung has already filed. After the centered one, that's the most preferred placement for respondents in our recent poll on the possible Infinity-O variations. Unfortunately, most of the stamping that would've told if this belongs to a Samsung phone and which model would it be are deliberately pixelated but it certainly seems like one of our first looks at the coming generation of hole-in-display "all-screen" phones. Samsung is the future. No denying. Terrible, put the camera in the middle because that's where it's supposed to be. Now how F'd up that notifications bar is going to look? At least it still got enough room for notifications, compare that to giant notched phone that can't even show 4 notification icons. I think it will be more practical to keep the camera cutout on the side. Especially when playing games, watching videos, or just browsing the web. But, I'm more curious to know how they will implement the earpiece speaker. Especially if it is going to support stereo. Did you check one UI? You know the finished product yet right? Notifications probably stop at cutout.